Seedcoin and startups BTC.sx, BitcoinATM360, bitSIM, CoinSimple, meXBT share exciting news this Fall! Hong Kong – October 21, 2014 – Continuing their steady pace in launching innovative products and being involved at the forefront of the bitcoin industry, Seedcoin and its startups BTC.sx, BitcoinATM360, bitSIM, CoinSimple and meXBT have exciting news to share during the Autumn months. BTC.sx: The world’s first and exclusive platform for trading Bitcoin-only trading, BTC.sx sponsored the Inside Bitcoins London conference (Sept 15-16) alongside Seedcoin recently. The company has since launched a revenue sharing referrals scheme, allowing customers who recommend their friends to earn 20% of BTC.sx’s revenue from traders they have referred. Further expanding its global presence, BTC.sx announced yesterday it has integrated its trading platform with the global bitcoin exchange itBit, which has locations in Singapore and New York. BTC.sx will be announcing more new industry partnerships shortly. Co-founder and COO George Samman was also at Inside Bitcoins Las Vegas (Oct 5-7) speaking about Bitcoin, Remittances and the Developing World. BitcoinATM360: Ignite Financing is now BitcoinATM360. The new brand and site was launched with BitAccess, Genesis Coin and Lamassu BitcoinATM sales, with many more brands coming soon. 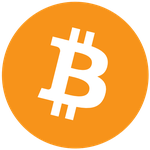 BitcoinATM360 continues to provide industry first managed services and financing worldwide. bitSIM: Vennd.io and bitSIM recently announced a partnership to create a platform for listing and trading assets on Counterparty. BitSIM will enable anyone with a mobile phone to securely own digital assets, streamlining access and giving users complete control. CoinSimple: CoinSimple was one of 20 startups chosen to present at CoinAgenda, the bitcoin investor conference in Las Vegas, October 8-9. Since its public launch on beta September 15, CoinSimple has made significant functionality and user interface improvements. The company also will soon release its first plugin for the WordPress platform, allowing website owners to sell goods and services directly from their website using CoinSimple’s API. CoinSimple is in discussions for the first beta tester of the plugin. meXBT: The company recently took part in various activities including: launching cash-in in seven countries of Latin America; being invited to talk about Bitcoin at the Fintech Latam Conference held in Miami; joining the discussion about Alt Coins and their future at Inside Bitcoins Vegas; and being selected to present at the first CoinAgenda startup competition. Seedcoin: The following experts will speak at Inside Bitcoins Paris November 20-21 : Seedcoin CTO HakimMamoni (Decentralized Technologies: Lifeboats for Society) ; Seedcoin Chief Startup Officer Eddy Travia, Jetcoin Creator and Co-Founder Eric Alexandre (Jetcoin and Sports: A Match Made in Crypto Heaven) ; and Jetcoin Institute Advisor Bernard Lietaer, Research Fellow, Center for Sustainable Resources of the University of California at Berkeley and author of The Future of Money, will be the keynote speaker in the morning on November 21. See http://www.insidebitcoins.fr. BitcoinATM360, previously Ignite Financing, provides first in class worldwide sales, services, financing andresources for the BitcoinATM industry. For further information visit http://BitcoinATM360.com, or for partnership and business development opportunities. bitSIM provides easy access to Bitcoin for anyone with a cell phone; bitSIM has created a SIM overlay solution that acts as a fully encrypted Bitcoin Wallet. Visit: http://www.bitsim.co/. CoinSimple makes it extremely simple for professionals and online merchants to accept bitcoin, get the most competitive services from among bitcoin payment processors and review comprehensive sales data. For further information call +1-512-861-1972, +44-20-3695-5392, +852-5808-4399 or visit coinsimple.com. Seedcoin is the world’s first seed-stage Bitcoin startup virtual incubator, whose objective is to invest in the creative entrepreneurs of the cryptocurrency economy and help them develop the future services, products and applications re-shaping the way we interact with money on a daily basis. Visit http://www.seedco.in/ for more information.